If you’re a sysadmin or devops guy, configuring—and learning to configure—various components of IT infrastructure is a huge part of your job. To make your life easier, we’ve documented exactly how to configure Mozilla Thunderbird with JumpCloud’s lightweight LDAP agent. This allows businesses with existing LDAP directories a bridge to the cloud in a hybrid on-premise-in-the-cloud system. Ready to get started? Download and install Mozilla Thunderbird (mozilla.org/en-US/thunderbird). 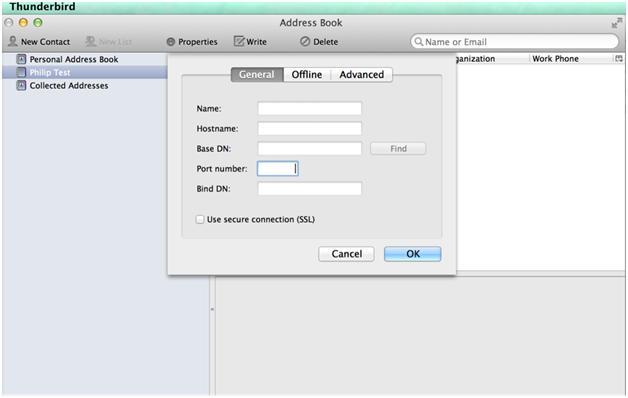 After creating a new account, scroll to the menu bar and click on the “Address Book” tab. Use Secure Connection: Check this box as you’re using port 636 per above. 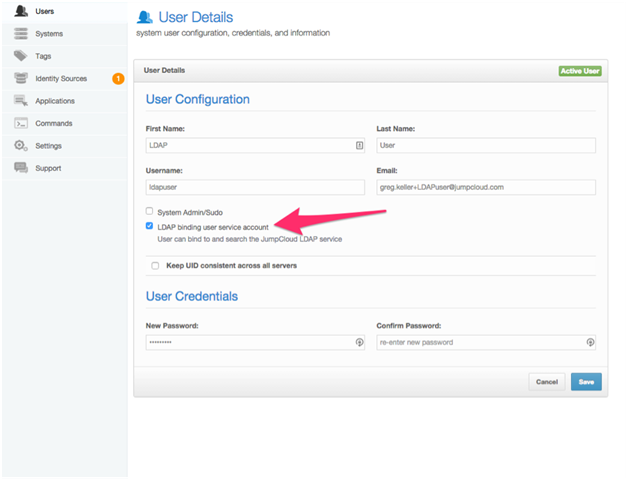 Ok, next create an administrator account in JumpCloud and log in. This is where you’ll get the Bind User number to input in the “Bind BN” prompt (SEE #3) and “Org ID” (SEE #3) needed for Thunderbird to properly configure with JumpCloud. 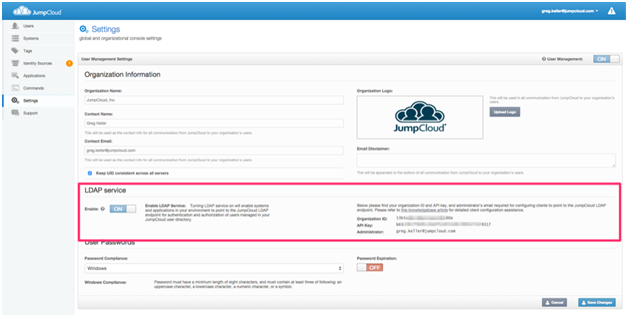 Org ID: As for Org ID, you will find this in the “Settings” tab of your JumpCloud console. 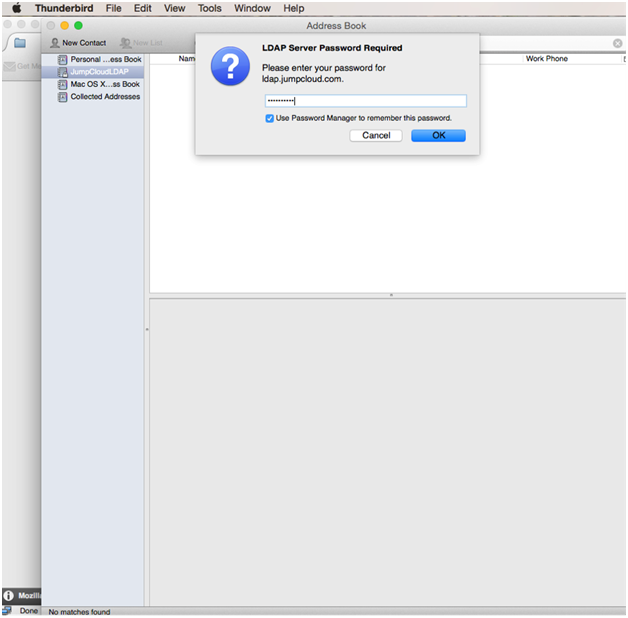 It will be exposed when you turn “LDAP Service” to the ON position. The Org ID is unique to your company. 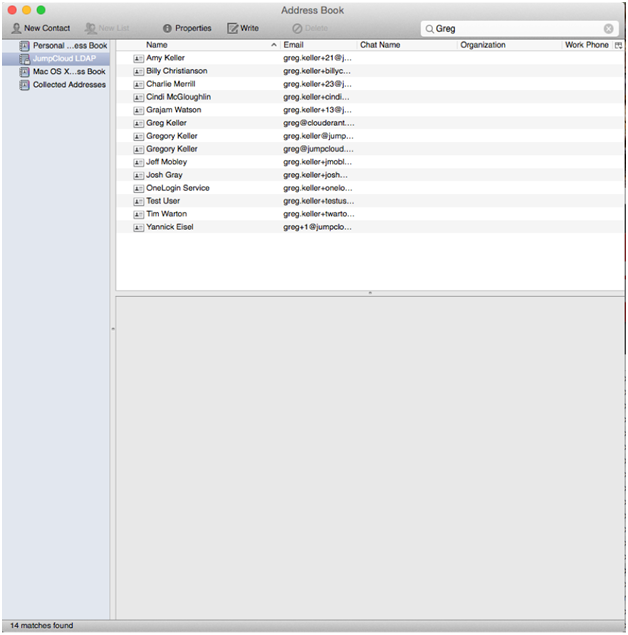 Now, go back to Thunderbird. Having followed the #3 instruction and correctly filled out the LDAP configuration, you can now input terms into the Search Bar. For the purposes of this demonstration, we’ll use the name “Greg.” Next, you will be asked for a password (SEE BELOW), which is the same password used for the Bind User, as explained. There you go! Now you have a bridge to the cloud in a hybrid on-premise-in-the-cloud system. Enjoy! Have any further questions? Reach out to us via twitter.